Why offer a Flexible Spending Account? 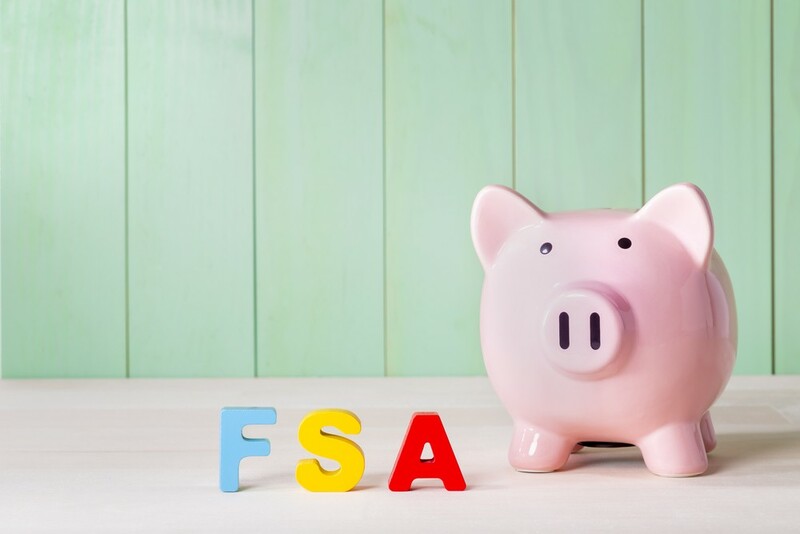 A Flexible Spending Account (FSA) is a wonderful benefit to offer employees to help them save money on out-of-pocket medical, dental and vision expenses by setting aside money on a pre-tax basis. And, there is savings for you, the employer, as well. For every dollar the employee contributes, you save 7.65% in FICA tax (Social Security and Medicare). Often, FSA plan administration pays for itself in tax savings. Why SBA for your FSA plan administration? We work with you at the beginning to design a plan that best suits you and your employees, then we assist you in communicating the plan to your employees. On an ongoing basis, we ensure compliance, manage open enrollment and answer employee questions. Design: You can choose how employee contributions to the FSA are handled. A 12-month plan year with 60 day run-out. Participants must incur expenses during the plan year with sixty extra days after the plan year ends to submit claims. This is the easiest plan design to offer administratively. A 12-month plan year with 60 day run-out and carry forward. This option operates the same as the one above, however anyone with an unused balance under $500 can carry it forward into the next plan year. We charge a little more to add this feature to your plan. A 14.5-month plan year with an extended grace period provision. Participants must incur expenses in 12 months but, if they have an unused balance, they have an additional 2.5 months to incur expenses with an additional 60 days to submit claims. This helps participants avoid the use-it-or-lose-it part of this plan. We charge a little more to add this feature to your plan. Reimbursement options: There are several options for how you handle reimbursing employees. Debit Cards – Each employee (email address required) is issued a designated FSA debit card. The debit card company will draw funds from your bank account to fund card swipes for eligible expenses. Debit cards are convenient for participants, as they simply swipe the card at an approved health care provider, such as a pharmacy or doctor’s office. You will be able to see all debits and credits by logging onto our secure website and reviewing the debit card statement. Employer reimburses participant from employer bank account – Claims received between Monday and Friday are adjudicated. The following Tuesday, SBA notifies the employer to reimburse specific participants and the amounts to be reimbursed. SBA reimburses participants from employer’s bank account – Claims received between Monday and Friday are adjudicated. The following Tuesday, SBA notifies the employer that specific participants will be reimbursed specific amounts. The following day SBA mails checks or releases a direct deposit file to reimburse participants. Enrollment meeting(s) are important to explain to employees how an FSA works, especially the use-it-or-lose-it part of the plan. If possible, we will send a representative to your location (depending on location) to make sure employees understand what they are signing up for. We provide enrollment materials, plan documents, and non-discrimination testing. Monthly invoicing – Each month we mail you an invoice for the number of FSA participants. Also included is a FSA monthly report listing each participant, what they elected, contributed, was reimbursed and their balance. Website – Both you and your employees can login to our secure web portal. Employees will see details about every claim submitted and paid with balance remaining. You will see high level financial details about the group FSA plan listing each participant, what they elected, contributed, was reimbursed and their balance. Please note, HIPAA protected data about an individual participant is not available to you, as the employer. Knowledgeable, accessible staff. Our dedicated staff can help you and your employees with any FSA questions, including regulatory and compliance support – available M-F, 8am – 5pm PST. You’ll talk to a person, not voicemail. Plan review – Every year we review your current plan, as well as any new compliance developments to determine what, if any, changes need to be made. Application – Once the plan has been finalized, we email a group application to you that is 75% complete with answers based on the renewal conversation. Non-discrimination testing – You complete the non-discrimination testing section and email SBA a signed copy of the application. Enrollment materials – We prepare renewal enrollment materials based on no change or new changes to the plan. This renewal handout is emailed to you for distribution. A representative from SBA is available to be present (depending on location) for renewal meetings if needed. Working with SBA for both your FSA and COBRA administration provides additional advantages. Did you know that a Health Flexible Spending Account is a COBRA-eligible benefit? When SBA provides you with COBRA administration, we don’t have to ask a) how much the participant elected in the Health FSA, b) how much was contributed, and c) how much was reimbursed in order to calculate the Health FSA COBRA premium. That information is already in our system, saving you time and effort. Talk to your benefits broker today about working with SBA for your FSA administration. If you are searching for painless perfection for COBRA and 125 Plan administration, look no further than Sound Benefit Administration. We have worked with the team there for at least 8 years and have had ZERO issues with any elements of our plans. They are a highly valued partner for us. We rely on them to keep us informed of rule changes, and have complete confidence that we are in compliance at all times.